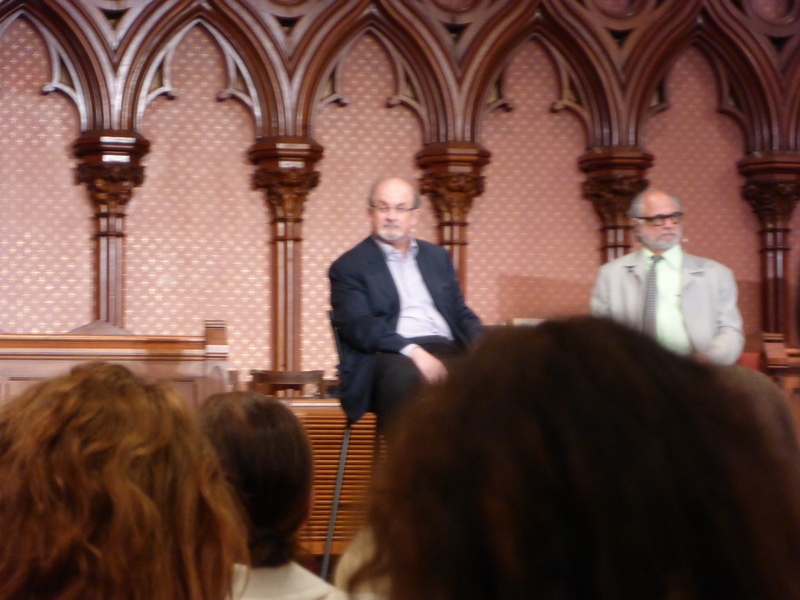 Earlier this month, I was at the Boston Book Festival. This is an amazing event in the heart of downtown Boston. Friday night there was a private party for the authors at a hotel. After the cocktail party, we went into this beautiful church next store to hear Salman Rushdie who was giving the keynote in the form of an interview. Salman said that he regretted going into hiding for twelve years. That’s a dilemma – how do you really know what’s right, what will keep you safe? It was a fascinating interview with Homi Bhabha. The next day, I went into the green room to pick up my goody bag which the festival filled with an umbrella, lip balm, metal water bottle with logo, power bars and more. I ran into Marissa Meyer in the green room and we got to catch up. Last time I saw her was when we were on the same Comic-Con panel this summer. There were only two YA panels at this festival and she was on the morning one and I was on the afternoon one. With Alexandra Coutts (Tumble and Fall), Jessica Khoury (Origin) and our moderator Maya Escobar. 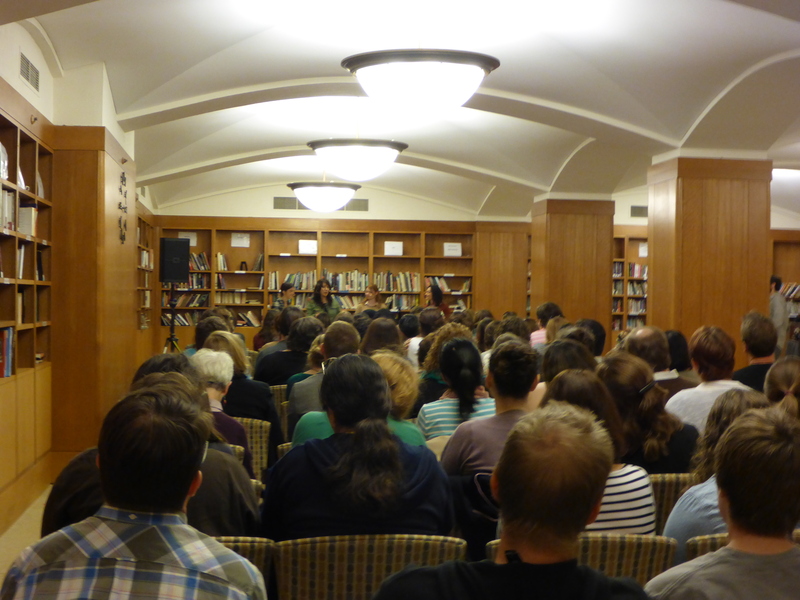 Happily, the YA fans stayed around from the morning panel to attend ours. The 130 seats filled and some 25 more were sitting on the floor or standing. They actually turned away people at the door due to fire regulations. 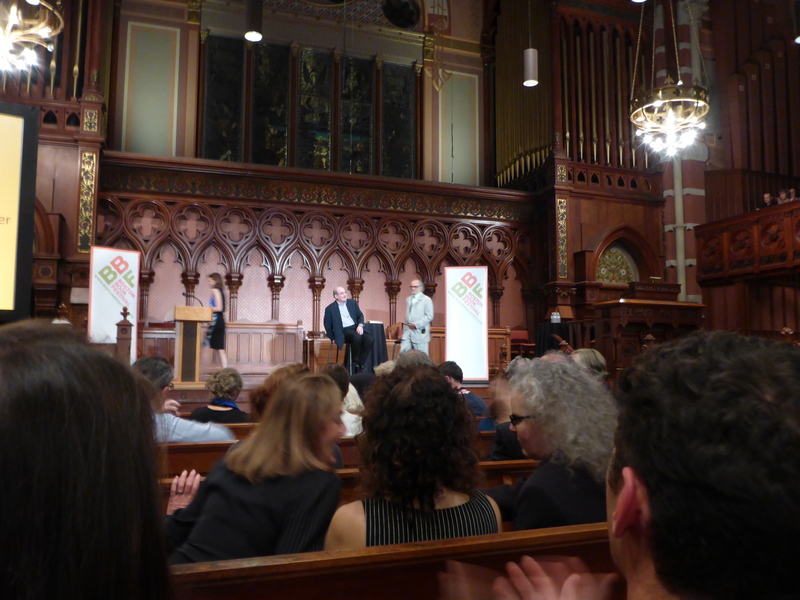 It was great to meet everyone and Boston always has such smart audiences. Previous Post: Win the NEWEST iPad, the iPad Air!